There’s an easy, even expected way to make a movie like Philomena, a fact-based drama about an elderly Irish native named Philomena Lee whose child was taken from her by one of Ireland’s Magdalene Laundries. Institutions that lasted from the 18th century until the 1990s, the laundries served as homes for unwanted and discarded girls, orphans, unwed mothers, small-time juvenile offenders, and other young women considered undesirable. Some were sentenced there by the state. Others were abandoned there. Still more washed up in them because they had no place else to go. Children born to laundry residents were sometimes adopted against their mothers’ will. It’s a sad story of institutional abuse, one that might easily be shot as a dreary, self-righteous drama. 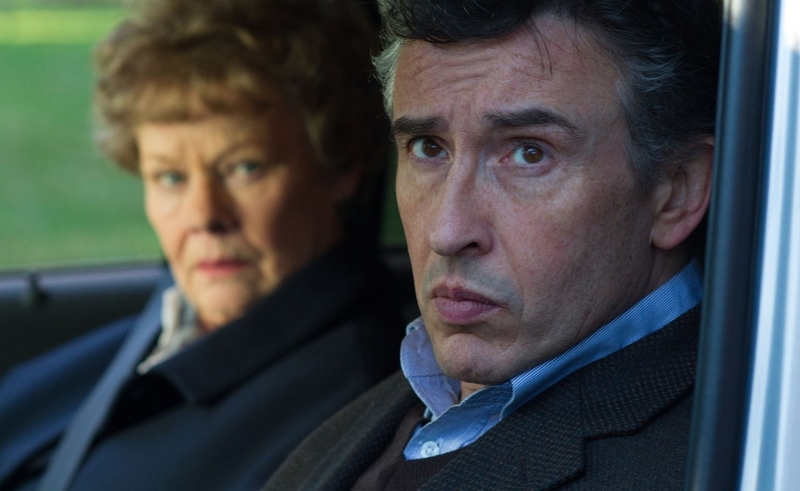 Philomena isn’t that sort of film—or at least, it resists becoming that sort of film for an admirably long time. That has something to do with the handsome, careful direction by generally reliable veteran Stephen Frears, but even more to do with film’s cast and script. Inspired by a newspaper article about the case, Steve Coogan co-wrote the screenplay with Jeff Pope and cast himself as the article’s author, Martin Sixsmith, a journalist-turned-spin-doctor still smarting, as the film opens, from his dismissal by the Blair administration. Looking for something to do with his time—maybe a book on Russian history—Martin stumbles across Philomena’s story and asks to talk with her. Their first meeting seems to reveal everything that needs telling about their relationship. Martin is acerbic (Cooganish, in other words) while Philomena (Judi Dench) has no grasp of sarcasm. Yet she sees in him a chance to find the son taken from her 50 years ago, and he sees in her an assignment that will help reestablish his journalistic bona fides, even if he’s prone to dismiss it as a mere human-interest story. Yet the odd couple isn’t quite what it seems at first, either. Despite her tragic past, Philomena has a jolly demeanor and a surprising amount of faith, both in her new friend and in the religion whose representatives have treated her so poorly. Dench keeps revealing depths to her, too, sometimes with just facial expressions held in close-up. A moment staring at a provocative perfume ad suggests she’s spent decades wondering whether she was punished too harshly for the indiscretion that led to her pregnancy, and finally decided “yes.” (Dench is always good, but performances like this suggest that for all her acclaim, she might actually be underrated.) Dench and Coogan play off each other brilliantly, too. In one of the film’s best, funniest scenes, Philomena regales Martin with a point-by-point plot description of the romance novel she’s just read. She talks, he says little but reacts visibly, and the moment plays as if they’d had a lifetime to build up comic chemistry. Perhaps unavoidably, the film takes a turn for the serious and angry. A few contrived scenes toward the end feel like betrayals of the easy rhythms the film has established. It never isn’t a happy story, but what makes it effective isn’t the facts of the case, so much as the way Philomena lets viewers spend time with its characters and get to know exactly who’s getting hurt. It arrives at an inevitable destination, but the journey is what makes it moving.